Privacy and a comfortable and relaxed atmosphere to enjoy your celebration. 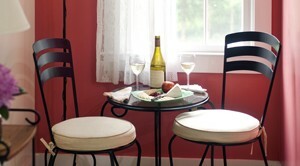 Wine in the room will be provided upon arrival, and a late breakfast for two at your request. Dinner arrangements can be made in advance and included in the package. Prices vary according to season, and include 2-3 nights stay with a full gourmet breakfast.